This soup is one of my favorites as it is so versatile! This soup can be served hot or chilled or even used it as a marinade for fish or chicken. 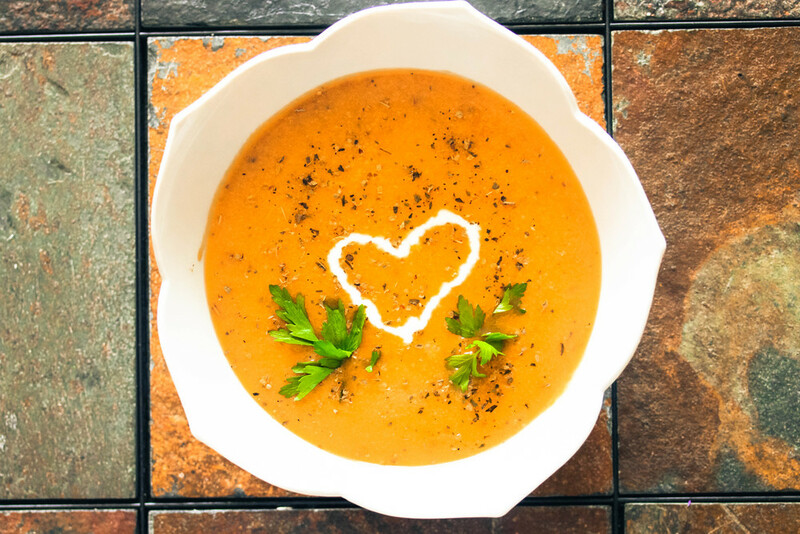 It can be tough to consume enough bone broth in the summer months since often times hot soup is the last thing our bodies feel like. However, this soup tastes amazing chilled, especially served with a scoop of homemade yogurt on top. I even noticed the soup tastes a little sweeter when chilled making it a nice breakfast option, especially for those on the GAPS Diet. Heat ghee in saucepan. Once melted, add diced onions and garlic and cook until onions translucent. Add butternut squash and mix well. Add in bone broth until well incorporated. Season mixture with FlavorGod, basil, oregano, salt, and black pepper and let simmer for 15-30 minutes. Take mixture off heat and let cool to room temperature. Once cooled, use a hand mixer or Vitamix to puree into a smooth, creamy consistency (usually about a minute on medium setting). Return saucepan to heat if serving hot. Add a scoop of yogurt or sour cream and garnish with Omega 369 Oil and chopped parsley.